Reunited East Coast band delivers fresh sounds, combining old school rock, glam metal and melodic vocals to fans across multiple genres! YORK, Penn./PRNewswire/ — The Glam Metal Rock Band Scarlett Gypsy has garnered the attention of fans and critics alike with the unveiling of their eagerly awaited debut album – All Access – available now on Amazon, iTunes, CDbaby and Bandcamp. Scarlett Gypsy was an up & coming rock band in 1991-1992 when the industry changed and left them behind. 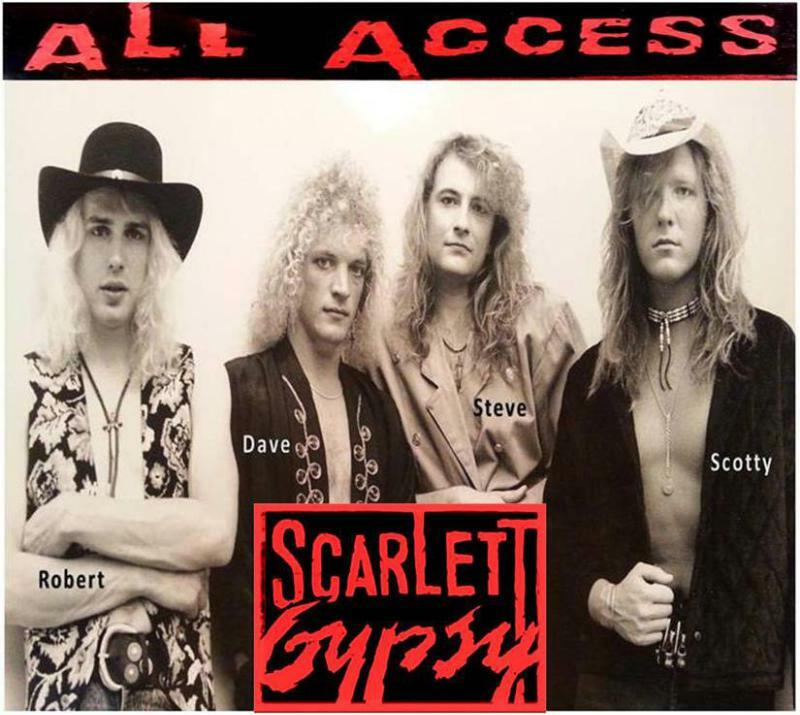 Beginning in 1991 as a highly admired Glam Metal Hard Rock Band, Scarlett Gypsy began taking on America as they journeyed the turbulent east coast early 90s rock scene in the Philadelphia/South Jersey area, focusing on clubs like The Empire & The Galaxy that launched the careers of bands like Bon Jovi, Cinderella, Britney Fox, Heavens Edge and Tangier along with hometown hotspot The Tourist Inn that launch bands like Halestorm and Kix. Scarlett Gypsy is an American Rock Band originating from York, Pennsylvania, with David Mathew on Lead Vocals, Steve Plonk on Guitar & Vocals, Robert Douglas on Bass and Scotty Scarlett on Drums & Vocals. Together these four combined create a great new refreshing sound of old school rock complete with blazing guitar riffs, melodic vocals and infectious hooks. The debut album delivers old school rock, ballads and wild party rock’n choruses for all new glam metal heads and rockers alike to enjoy. Boldly combining elements of raw rock with glam fueled gritty guitar riffs, melodic vocals and all-around high-octane music, this Gypsy Band is determined to please every fan’s need to rock-out on hot summer nights to catchy hooks, fist-pumping party-rock choruses and rhythmically loose powerful rock music. This entry was posted on October 19, 2014 at 9:30 am and is filed under classic rock, Hard Rock, Heavy Metal, Metal, music news, rock music, rock music news with tags glam metal, Hair Metal, hard rock albums 2014, Heavy Metal, metal odyssey, scarlett gypsy. You can follow any responses to this entry through the RSS 2.0 feed. You can leave a response, or trackback from your own site.